Conventionally, high performance was often associated with sedans, hatchbacks and supercars. Until someone somewhere thought that all that power will also make sense in an SUV. We already have some examples in the form of the Lamborghini Urus and the Bentley Bentayga. And now there is a new name that will take on these two and the others. Lexus! 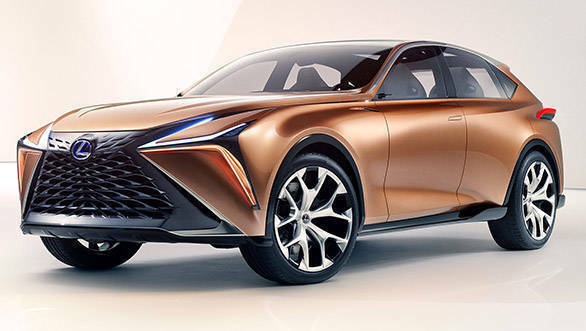 The Japanese automobile brand is believed to be working on its flagship SUV that could be launched in 2020, based on the LF - 1 Limitless concept that debuted at the Detroit Motor Show in January this year. 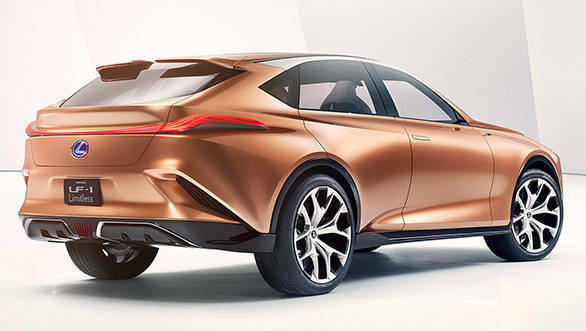 As described by Lexus about the concept, it has "the potential to shape the future of a flagship luxury crossover for Lexus." The official dimensions of the Lexus LF - 1 Limitless concept crossover are 5,014 mm length, 1,986 mm width and 1,605 mm height. The wheelbase of this one is 2,974 mm. Whether Lexus sticks to these numbers or makes it more compact for the production version needs to be seen. This upcoming flagship SUV by Lexus will be based on the LNGA platform that will be a derivative of the TNGA which is used in the Toyota vehicles. Under that hood could be a 3.5-litre V6 that will be borrowed from the LS flagship sedan and is expected to make around 430PS. It is also speculated to come with a multi-stage hybrid where the 3.5 V6 will be paired with two electric motors. Additionally, Lexus could also churn out a hot spec version of this SUV under its F range and offer a 4-litre V8 that will be capable of an output of 670PS. And with that, Lexus will enter the Lamborghini Urus category of high performance SUVs.